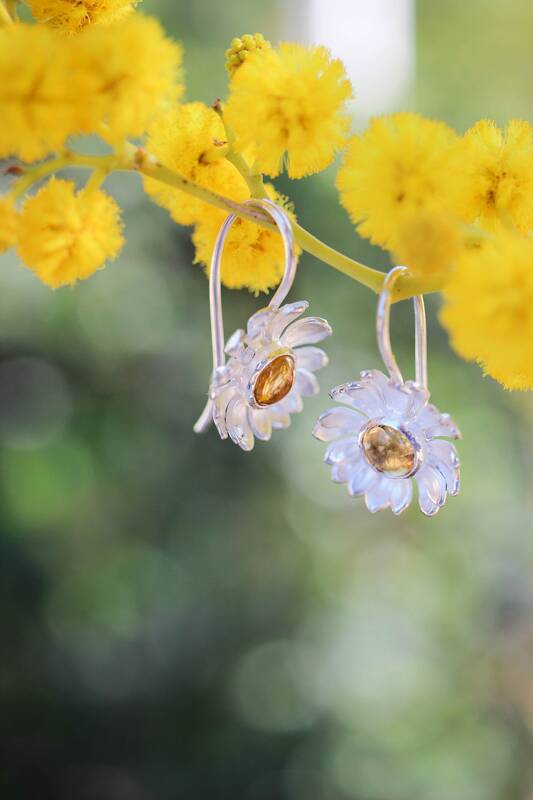 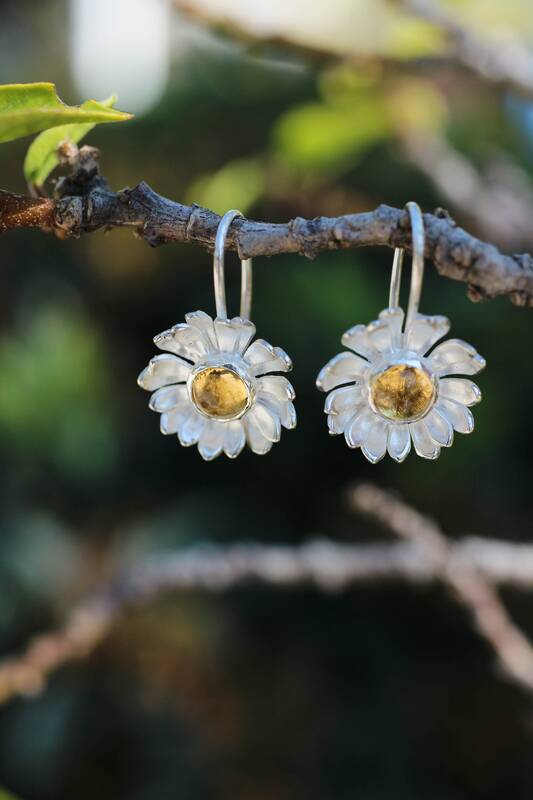 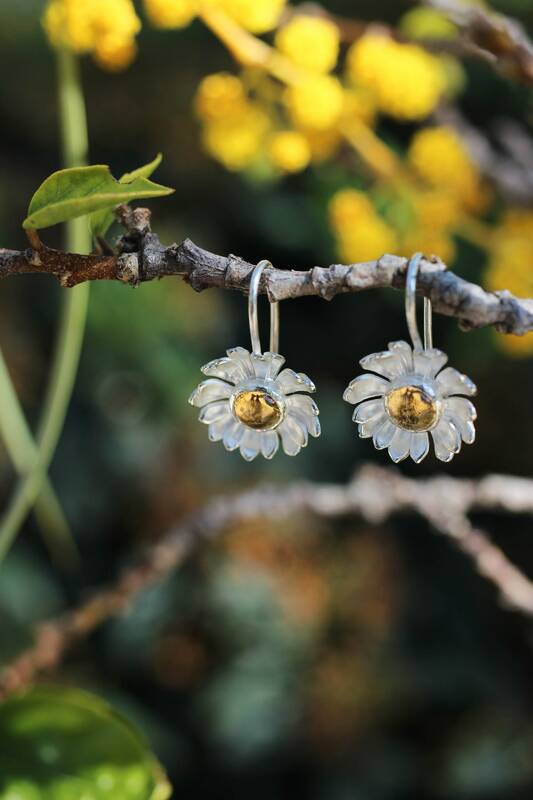 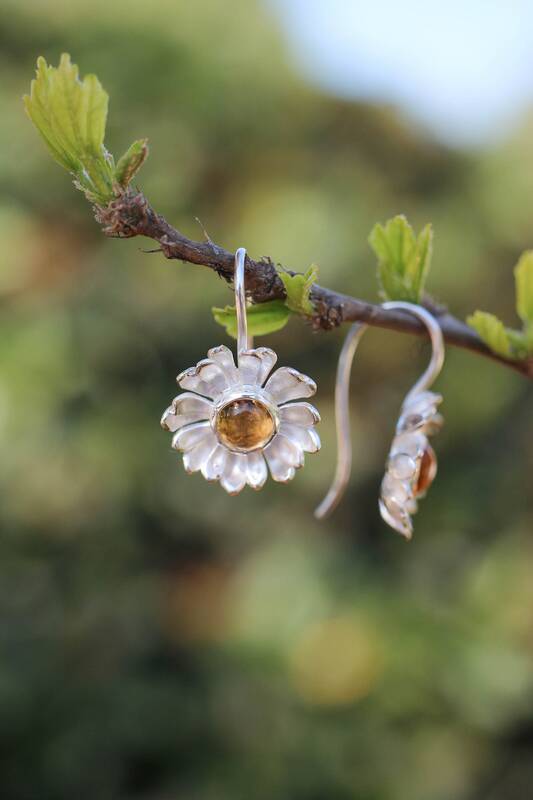 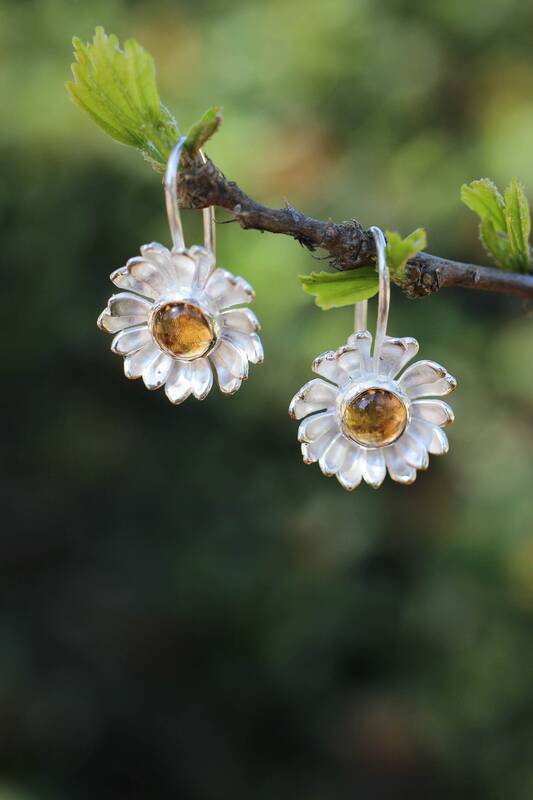 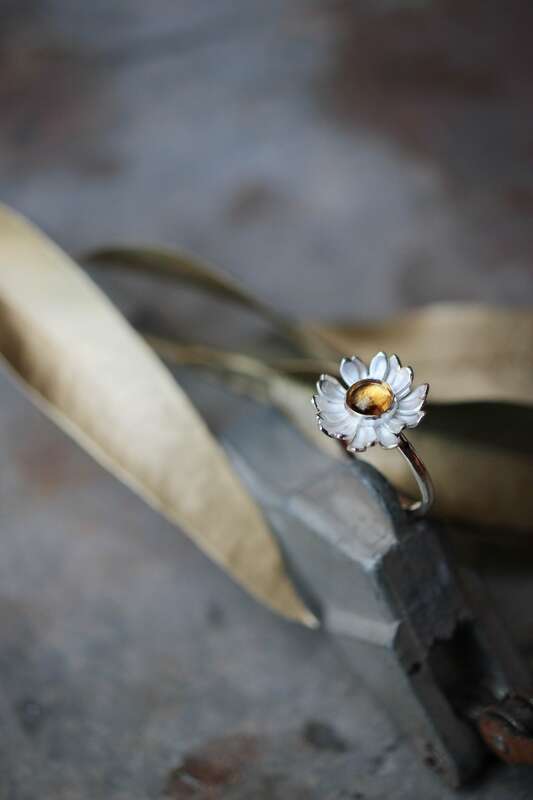 Lovely and romantic daisy flower earrings are hand-sculpted from sterling silver and adorned with natural citrine cabochons. 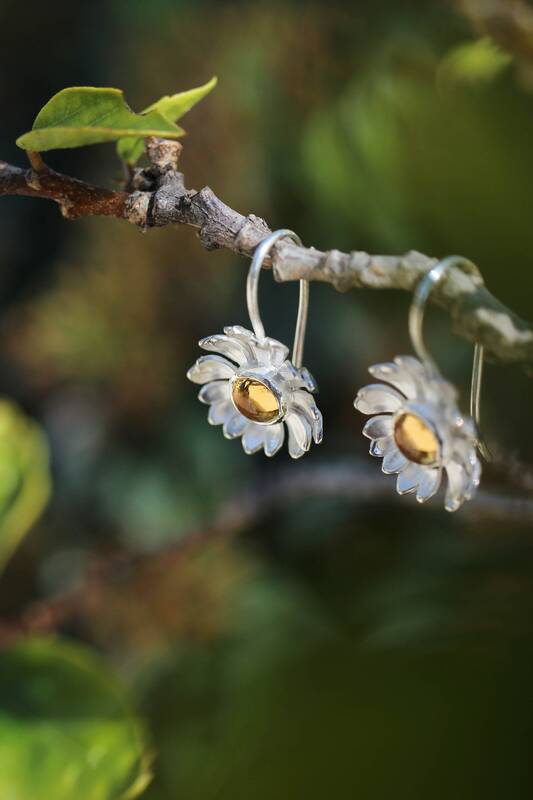 These unique earrings features nature inspired design with two layers of petals. 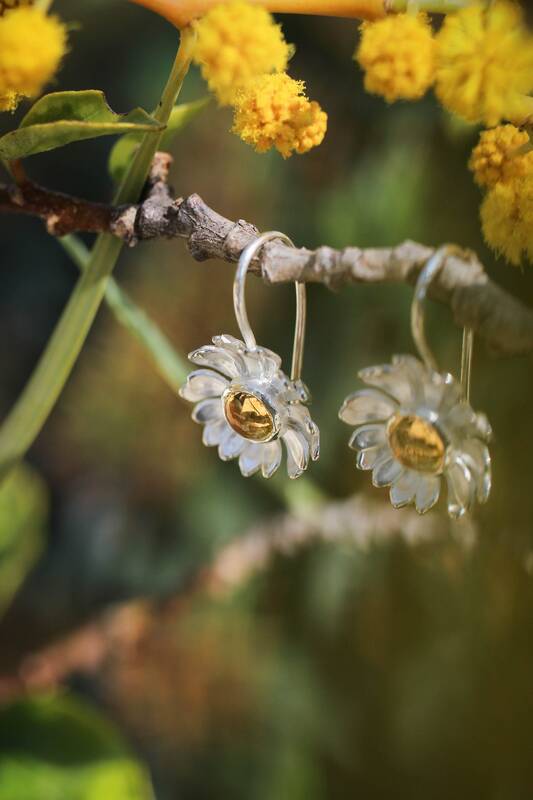 Flowers look very delicate but are sturdy and non-catchy. 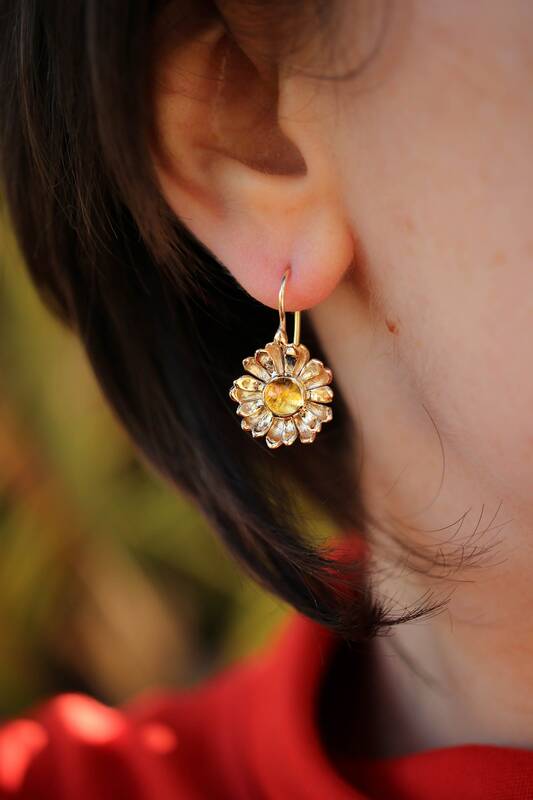 Perfect gift for those women who admire floral jewelry and prefers timeless design. 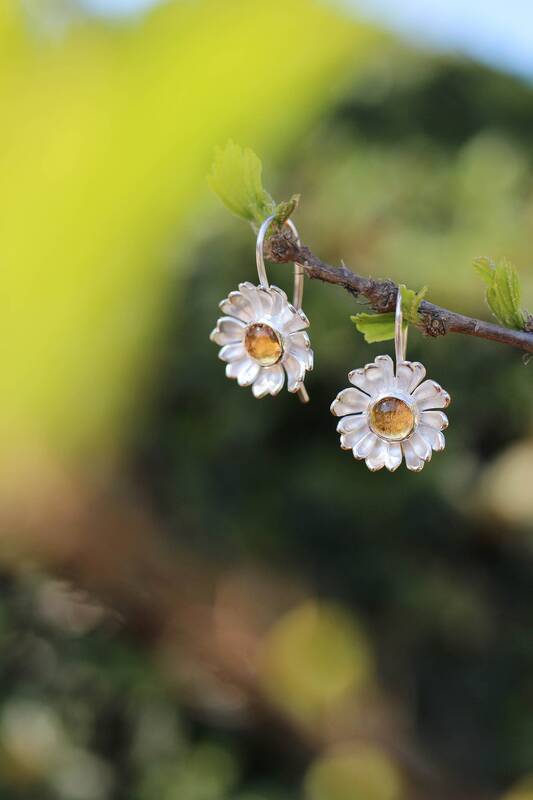 Daisy earrings is a perfect choice for wedding jewelry, lovely birthday or anniversary gift.